Long Term Disability Claim Denied? Nothing left to do but sue, sue, sue! In Ontario, injured parties who are seeking for compensation generally have 2 years from the date of the accident, or the date of denial to sue. With the exception of minors and sexual assault claims, this is the general rule of thumb which it should not be taken lightly. This two year period in which Plaintiffs have to sue is called a “Limitation Period“. And if you miss that limitation period to commence your claim, then you’re out of luck. We have a specific Act in Ontario devoted specifically to limitation periods. It’s called the Limitations Act, 2002 and it sets out the time periods in which you can, and can’t commence a claim. Determining when a limitation period begins to run in a car accident, or bike accident case is pretty easy. The time begins to run from the date of the accident itself. It doesn’t take a rocket scientist, or an elite personal injury lawyer to figure this out. BUT: what happens when the triggering event from when time begins to run isn’t as clear as a car accident. What happens in cases not caused by torts or negligence on a identifiable date; such as in a long term disability case for benefits which have been wrongfully denied. That’s when limitation periods can get tricky and when disability claimants and injured parties can get tricked. Keep reading so you don’t get tricked like countless others. We often see in Long Term Disability cases against large providers such as Sun Life, Manulife, Great West Life, Desjardins, SSQ, Industrial Alliance, RBC Insurance, Co-Operators, Equitable Life etc. that their denials will be written in a formal letter, and then follow with an invitation to appeal the denial. In some instances, there is no written denial. This is likely a mistake or an oversight by the insurance company. Perhaps the denial was relayed to the claimant by way of phone call or email. In any event; it’s the appeal process which I would like to focus on. What the appeal process suggests is that if you file an appeal, your file will be sent to a new adjuster who will examine the file with a fresh set of eyes, along with a different perspective. In our experience, these appeals have been denied over 99% of times. After the first round of appeals is denied, the insurer will likely invite the denied disability claimant to appeal to an even higher level. The same ground rules will apply. The file will be examined by another fresh set of eyes who will bring a fresh perspective to the file. And yet again, the appeal will likely be denied. After the 2nd appeal (and third denial), the insurer may invite the disability claimant to apply for a 3rd appeal. The same ground rules apply yet again; followed by the same result. A big, fat, unyielding denial of long term disability benefits. While all of these appeals are happening, the time from the original date of denial is passing quickly. Two years from the date of the denial may likely have passed by the time you get the results of the 3rd appeal. And if that 3rd appeal gets denied, which is the likely case, then you will have to sue OUTSIDE of the two year limitation period from the date of the original denial. This is exactly what happened in the case of Kassburg v. Sun Life Assurance Company of Canada, 2014 ONSC 1523 (CanLII). The plaintiff worked as a Special Constable for the North Bay Police Services. As an employee, she was a member of the North Bay Police Association and insured under a group policy of insurance issued by SunLife On or about May 1, 2008 the plaintiff submitted a claim for long-term disability (“LTD”) benefits in which she stated that she had been totally disabled since October 22, 2007. The insurance policy provided for an “elimination period“, which was a period of time during which the plaintiff’s employer paid her short-term disability benefits. On May 15, 2008, the defendant wrote to the plaintiff, advising that the elimination period would expire on September 11, 2008 and that LTD benefits would be payable under the policy starting on September 12, 2008. Therefore, the letter indicated, the plaintiff’s claim was still “pending”. From that date to February 24, 2011, correspondence was exchanged between the plaintiff or her representatives and the defendant, in which the plaintiff submitted further information as part of a process in which she passed through three “levels” of appeal. Her appeals were not successful. The final appeal ended on February 24, 2011 when the defendant sent the plaintiff a letter advising that her claim remained declined. The letter also advised her that she might wish to seek legal advice as one of two options. The plaintiff followed that advice and retained a lawyer. Her lawyer commenced an action against the defendant on behalf of the plaintiff on February 21, 2012. The defendant contends that a limitation period contained in the contract governs and that the contractual limitation period expired on December 10, 2009. Alternatively, it argues that the two year statutory limitation period contained in the Limitations Act, 2002 (the “Act“) expired on December 4, 2010. In either case, it submits that the plaintiff’s action was commenced out of time. The Defendant SunLife brought a motion to dismiss the Plaintiff’s case from Court on account of failing to meet the limitation period. Fortunately for the Plaintiff, they were successful in fending off SunLife’s motion. BUT, if you read the decision carefully, you will see that had SunLife used more specific language in their denial letters, it’s likely that the Plaintiff’s claim would have been dismissed. Large insurers have caught on to this, and have begun to use different language in their denial letters to keep that door open based on a denial for failure to commence a claim within a limitation period. So, the question remains: why would a seriously injured and disabled person consider playing with fire and letting the claim lag from the date of the initial denial. Our law firm submits to you, that by running the gambit of appeals with the insurer, you are playing right in to their hands by letting you claim DELAY; and allowing the insurer to pad their file with nonsensical appeals which do little to benefit the claimant’s case; and only substantiate/support the insurer’s denial. We have seen a number of cases FAIL based on these reasons alone. That’s why we encourage anybody who has been denied a long term disability claim to get their claims out as soon as possible so as not to fall under the trap/illusion of the appeal game which causes unnecessary delays and places an otherwise meritorious claim in jeopardy. Enough law talk? Sure. 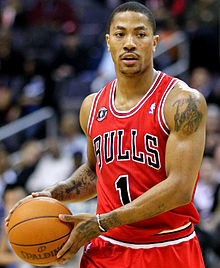 I would like to comment on Derrick Rose’s recent injury. Good fortune for Toronto’s basketball team. But, looks badly upon the NBA. I believe this to be a product of the NBA’s brutal schedule. Watching Toronto play 4 games in 5 nights on the road makes me road weary. Amazingly, the NBA playoffs DON’T have back to back games. So, the back to back games have ZERO reflection on the ability to perform when it counts; during the playoffs. So why does the NBA do it and expose their stars to such a difficult schedule? It’s simple. MONEY! The more games which are played, the more revenue the owners and league can generate through ticket sales and most importantly, television revenue. Bob McCown of the Fan 590 once predicted that professional sports will be played without crowds or fans in attendance; but rather in large television studios where people could watch as they do now from the comfort of their own homes. Pay Per View all the time?